So, I wanted to give you guys something different this time, so I’m going to focus on giving you an in depth article about one particular Omegle alternative random chat site called RandomSkip. The good thing about this site is that it has both video and text chat options, just like Omegle, but then also has a third option too, which is called group chat (basically regular old fashioned chat rooms). However, for this article I want to primarily focus on the text chat, because that’s where this site really goes above and beyond any other websites in this category. 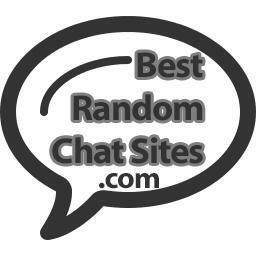 They have added a lot of extra awesome features to the usual random one-on-one text-only format, and if you want you can go ahead and check it out right now: Omegle alternative random chat by Random Skip. If not, let’s dive in to the features! So, the biggest and most noticeable feature you will find with this chat room is the ability to send images to your new comrade! That’s right, you and your fellow strangers can send pictures back and forth to your hearts’ content! There really isn’t a way to explain how much of a big deal this is, because it’s just sooooo huge. Without the ability to visualize your chatting partner, the conversation just isn’t the same. While some people may enjoy the mystery at first, if you really start to connect with a person you’re going to want to take things to the next level and get a visual of them. Not only that, but you’re also going to want to share photos of various things going on in your lives with one another, so as to embellish your already stellar discussions. I think in general humans like to be able to see whatever it is they happen to be talking about, the same way a lot of people tend to consider themselves visual learners. At any rate, I don’t think much more needs to be said about this feature, other than it’s simple, right to the point, and super easy to use! The next extra feature I would like to be sure to mention is the smiles feature! That’s right, this random text chat service has emoticons, woohooooooo. If you’ve ever had trouble expressing yourself over text messages (we all have), this will be great news for you. Fear no more that people won’t realize you’re joking because you couldn’t include an emote of you sticking out your tongue. Now, you can do it! Yessssss 🙂 :p . There isn’t a whole lot more to say about this, I think everyone understands how hard it can be to convey tone along with your messages, and emoticons are one of the few ways you can enhance whatever it is you’re trying to say with a little bit of that emotional flavor you normally get to use when you’re face to face with someone in real life. Alright guys, I think that about covers everything I wanted to mention, so get to chatting and enjoy yourself! This entry was posted in RandomSkip by admin. Bookmark the permalink.